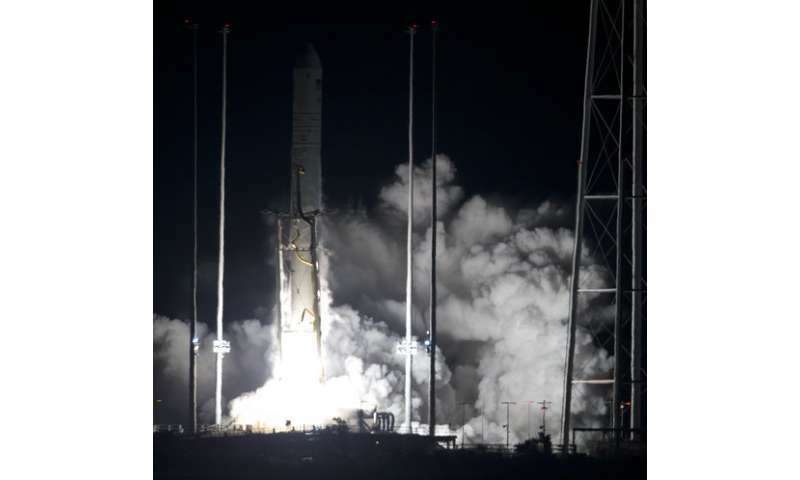 "What an outstanding launch," said NASA's deputy space station program manager, Joel Montalbano. Thanksgiving turkey dinners—rehydratable, of course—are already aboard the 250-mile-high outpost. The space station is currently home to an American, a German and a Russian. "As we celebrate 20 years of the International Space Station," Montalbano noted, "one of the coolest things is the cooperation we have across the globe." Then there's the U.S. commercial effort to keep the space station stocked and, beginning next year, to resume crew launches from Cape Canaveral. "To me, it's been a huge success," he said. It is the first commercial cargo ship to bear Northrop Grumman's name. 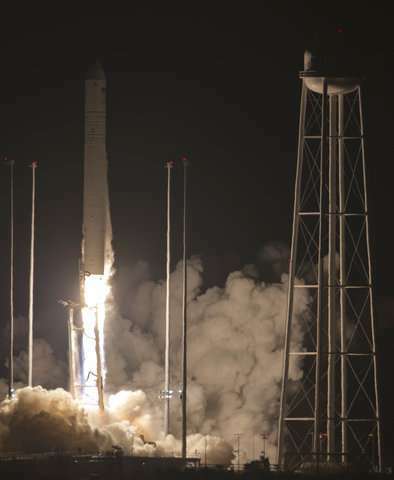 Northrop Grumman acquired Orbital ATK in June. SpaceX is NASA's other commercial shipper for the space station; its Dragon capsule is set to lift off in early December. Experiments arriving via the Cygnus will observe how cement solidifies in weightlessness, among other things. There's also medical, spacesuit and other equipment to replace items that never made it to orbit last month because of a Russian rocket failure; the two men who were riding the rocket survived their emergency landing. Three other astronauts are set to launch from Kazakhstan on Dec. 3.